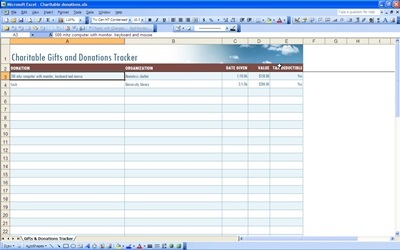 The second column is for the name of the organization to which the donation was made. Then just enter the date and the value of the item or amount of cash. The final column is to keep track of which donations are tax deductible.